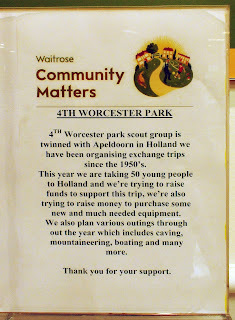 A rather interesting sight greeted me as I popped into Waitrose this morning. 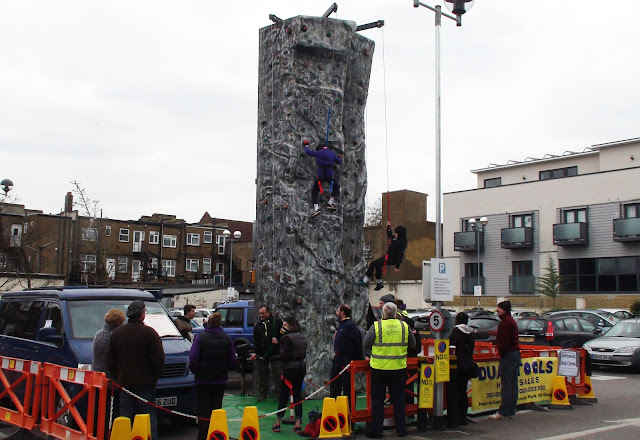 A tall climbing wall has been set up in Stone Place car park, just outside the entrance to Waitrose. 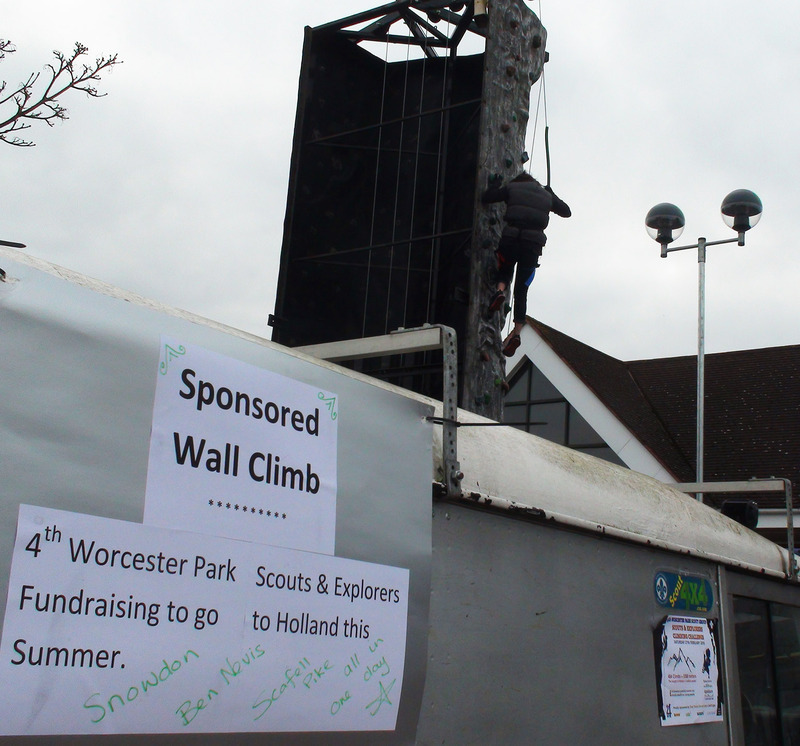 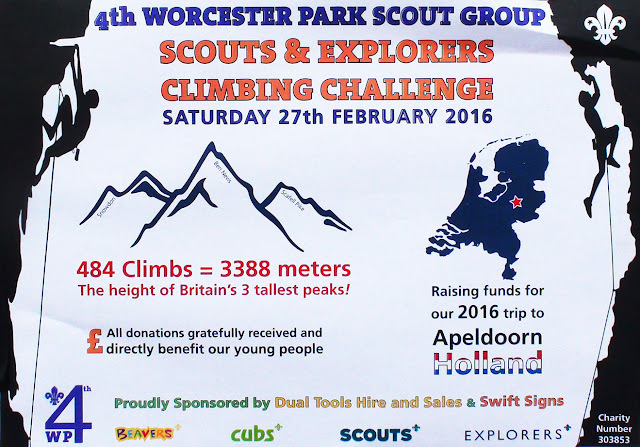 A quick bit of investigation revealed that this was set up by the local 4th Worcester Park Scouts and Explorers in a bid to raise money for a trip to Wales and a trip to Apeldoorn in Holland. 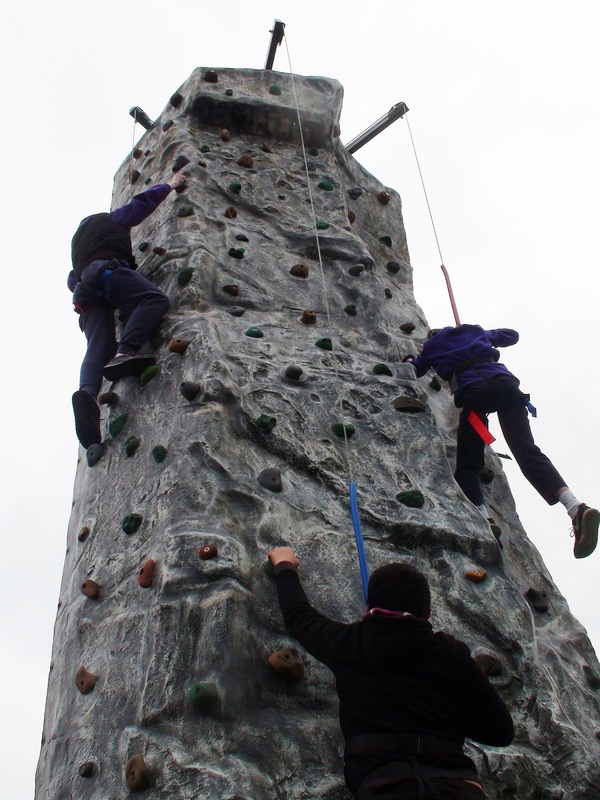 The young people, who have been tasked with the aim of raising £50 each are also attempting to climb the wall a total of 484 times between them, making an overall climb of 3,388m, or the combined height of Britain's tallest 3 peaks. The wall was set up last night at Scout headquarters in Braemar Road for a few practice climbs and arrived early this morning in Stone Place for an 8 o'clock start. 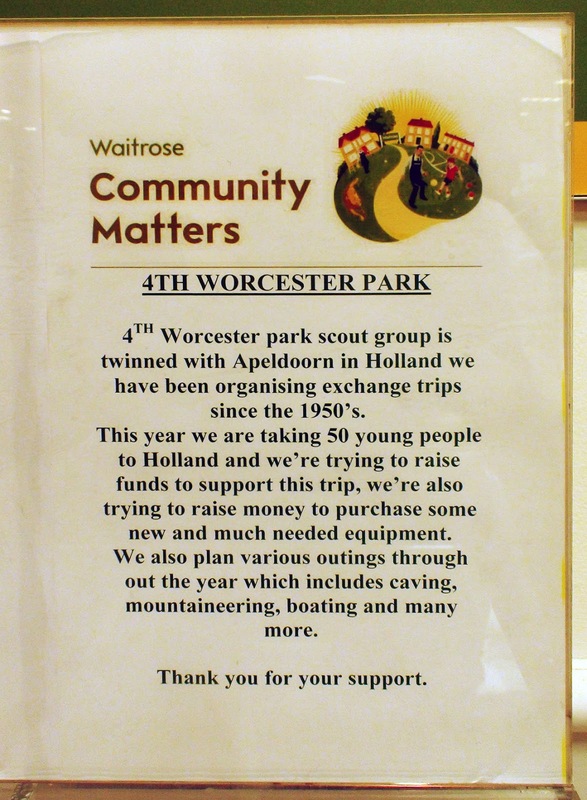 They are also raising money through other means including the Waitrose Community Matters donations system whereby you drop your green token in the box after the checkouts. 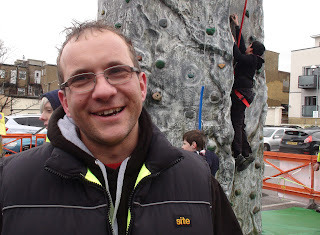 Scout leader Paul Green (pictured) told the blog that so far they have raised enough money to buy provisions and equipment for the hiking trip to Wales, reducing the cost to each of the scouts and explorers participating in the trip. They are looking to do the same for their trip to Holland. 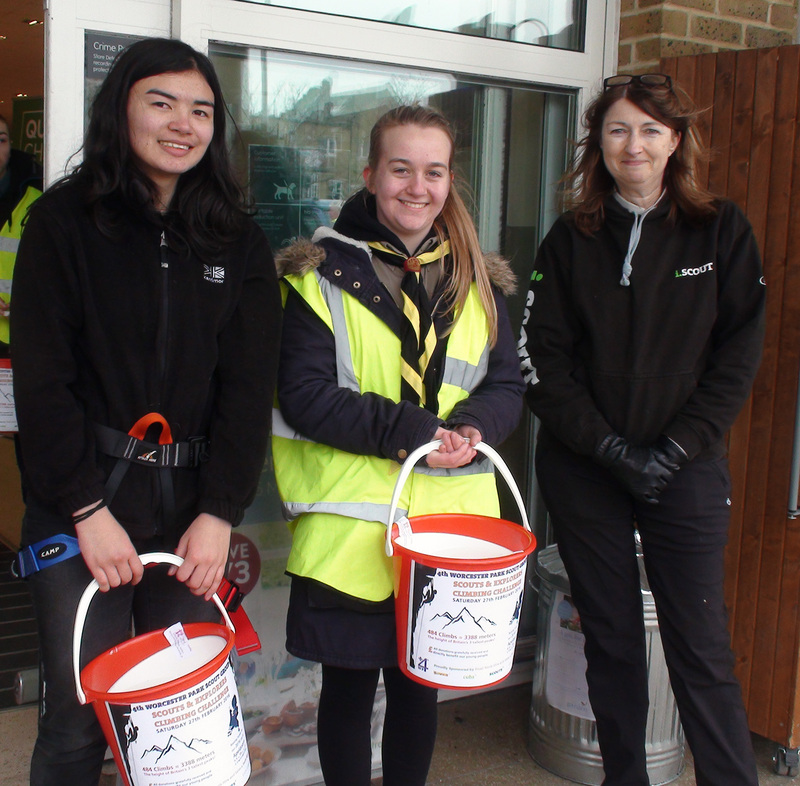 Numerous local helpers from the 4th WP Scouts can be found out and about in the car park and in store with their collecting buckets, helping to raise the money. Paul wanted to publicly thank Dual Tools in Central Road who regularly help out the scouts and also Cllr Richard Marston for help getting the council to agree to the use of Stone Place car park for the event.